Woman quips it makes online shopping with the popular retailer 'impossible'! Doesn't everyone wear their coat backward? A quick glance at the online store for Zara, the popular Spanish retailer, just might give shoppers that impression. After browsing for a pair of boots and instead coming across a photo of a Zara model with her coat on backward, a woman tweeted, "This is the exact reason why shopping online at Zara is impossible." Melissa Lloyd of Kent, England, told TODAY Style via Twitter that she loves to shop at Zara, often in store. When she shops online, however, she finds that often their models make the clothes look a wee bit different than in the store, a la backward coats, unusual poses and other "artsy" photography. "They’re supposed to be selling the clothes; however, the models are SO editorial. It’s not how their customers wear the items ... especially not back to front!" she wrote. The internet seemed to agree with Lloyd about Zara's wild photography, with her tweet generating more than 24,000 retweets and more than 97,000 likes. "I did not expect it to get as much attention as it did," Lloyd said. 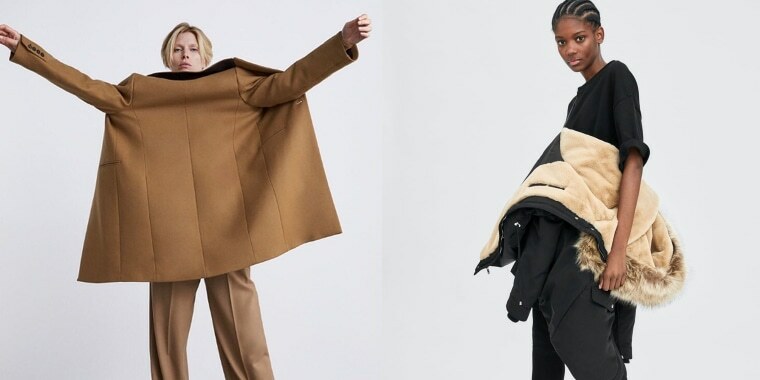 Commenters shared other funny model pics from Zara, like a woman whose arms were bound by a coat and another where the model seems to have about five scarves on her head. I mean it's cold out, but really?! Hahahaha I fully breakdown every time I go on the site! Here at TODAY Style, we found yet another backward jacket on their site, which begs the question: Is this a new trend for 2019?! Well, I guess we got to give Zara props for creativity!